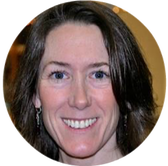 Jane Marinelli is a Maryland State Licensed, Nationally Certified Massage Therapist as well as an industry recognized group Mind-Body Skills group facilitator, wellness program coordinator and Certified Holistic Health Coach. Jane is certified in Pre-natal Massage, Medical Massage and Zero Balancing®. Jane holds a Master’s degree in Wellness Management. 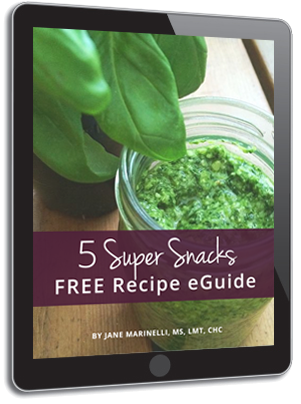 As a Health Coach, Jane is certified by the Institute for Integrative Nutrition and has studied more than one hundred dietary theories and a variety of practical lifestyle coaching methods. Since 1996, Jane’s work has also centered on the development and coordination of wellness programs for individuals and organizations. She has developed and coordinated wellness programs for teachers and administrators of public and private schools, battered women and their children at a local shelter, developed and facilitated Mind-Body Skills groups and retreats for people wishing to enhance their wellness, as well as for diabetics and people with other chronic illness. As a graduate of the first Mind-Body Skills Facilitator Training Program at the Center for Mind-Body Medicine, Jane teaches Mind-Body skills to individuals and groups, including meditation and guided imagery, breathing techniques, self-hypnosis and biofeedback. Combining her knowledge and experience with bodywork and exercise, stress-management, and nutrition and lifestyle coaching, Jane provides a personalized “roadmap to health” designed for body, lifestyle, preferences, and goals. She incorporates her background in meditation and relaxation practices into her work, helping individuals and growing families live healthy, balanced lives. Jane provides seated massage for employees at Johns Hopkins School of Medicine and maintains a private massage and health coaching practice in Baltimore, Maryland. Jane is a wife and mother, hiker and lover of the outdoors, and doesn’t follow recipes.